Mere minutes into I Am Big Bird and it’s impossible to deny that the man, Caroll Spinney and the big yellow bird are one in the same. 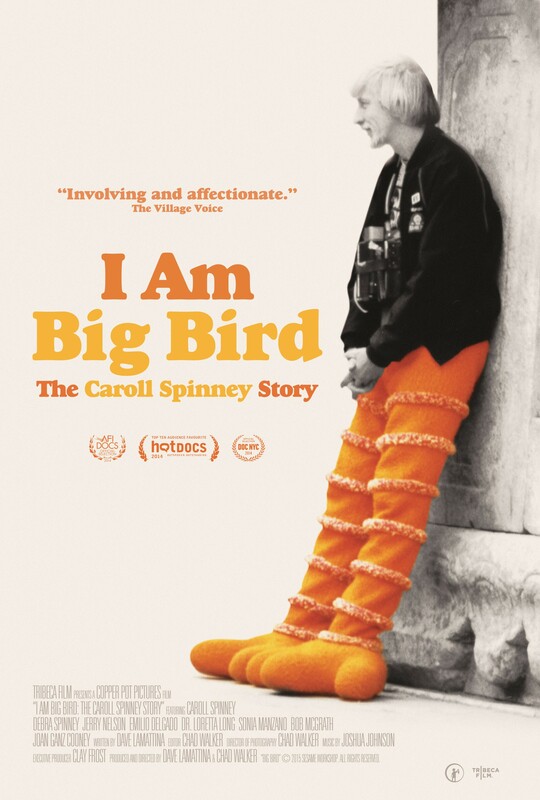 From Spinney’s early days as a young puppeteer with nothing but his mother’s support amidst a barrage of negativity from his father and his schoolyard peers, the film tells the personal and professional journey of Spinney’s 45-year-career as a Sesame Street icon. I Am Big Bird is straight-forward in its construction but no less enjoyable to watch. The most intriguing insights come when we begin to see how Spinney’s free spirit informs the character of Big Bird, through the watchful mentorship of Jim Henson. It’s interesting to note Spinney’s early status as an “outsider” in the Sesame Street family, a brand that continued in many ways throughout his career. It’s an inspiring example that all personalities can be welcomed and despite differences, one can find their own rhythm within a given professional environment. He may march to a different beat, but the longing to be loved never quite leaves the man and it is projected through the character of Big Bird. Even by virtue of the puppet itself, Spinney’s performance is a solo piece that is a testament to the talents of a man who manages to reach millions of imaginations under a fluffy layer of bright yellow down. As a person who hasn’t followed much in the way of Sesame Street goings-on since my youth, I maybe found the numerous anecdotes and tidbits about Sesame Street the show and Big Bird the icon more interesting than a more seasoned viewer might. There is a particularly poignant segment about Big Bird’s invitation to the space shuttle mission aboard Challenger that fate, and the science of getting a giant bird puppet to fit in the capsule, intervened. With interviews from Frank Oz, Sonia Manzano (“Maria”), Emilio Delgado (“Luis”), Jane Henson, Spinney’s wife Debra, and numerous other inhabitants from Sesame Street past and present, viewers are treated to a conventional look at an ordinary man unsure of his talent, who gave voice and soul to an extraordinary bird. I Am Big Bird opens today at the Roxy Theater.